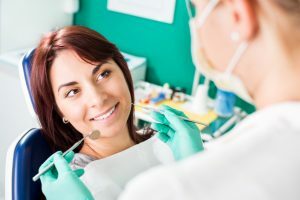 As an experienced Las Colinas dentist, Dr. Cindy H. Hsu knows good oral health is about more than keeping your teeth free from decay, though that’s a big part of it. No, sometimes other factors must be taken into consideration to ensure your mouth is as healthy as it can be — like a mouth sore that doesn’t heal. That’s a sign of oral cancer, a very serious condition that roughly 45,750 Americans will be diagnosed with this year. Early diagnosis can help a great deal in successful treatment. Keep reading to learn more about the importance of oral cancer screenings in Las Colinas.